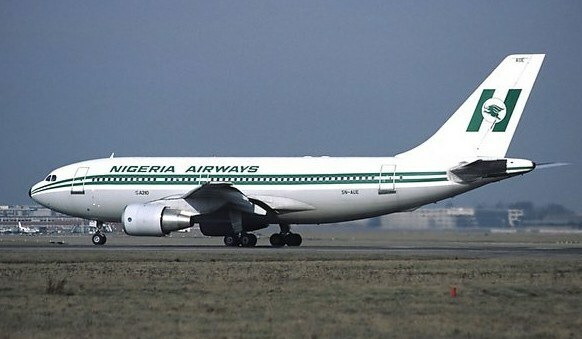 Lagos – Investigation by Daily Independent has revealed that some of the ex-Nigeria Airways workers whose payment of 50 percent pension and other severance packages commenced in October were credited twice. Also, no fewer than 79 of the supposed beneficiaries of the N45 billion severance packages were yet to be paid any amount of money by officials of the Presidential Initiative on Continuous Audit (PICA), a department in the Ministry of Finance which was mandated to disburse the sums to the former workers of the national carrier. Investigation by Daily Independent indicated that no fewer than 100 beneficiaries received ‘alerts’ twice through their banks. About 6,000 of the former workers were slated for payment. Some of the beneficiaries confirmed that they were actually credited twice by the Accountant-General Office and an account, training and operations, indicating Central Bank of Nigeria (CBN) with 13 digits account number, 002 0076861038, was provided for them to return the excess payment. But it was gathered that the leadership of the former workers prevailed on them not to refund the sum to any account provided for that purpose by the apex bank, suspecting foul play in the entire process. Speaking on phone with our correspondent, Animashaun said the error occurred but that it had been addressed by the appropriate quarters. He also confirmed that some of the former workers of the national carrier were yet to receive their benefits. As at the last count, he said, those in that category were 79, but noted that most of them had issues with their bank details. He explained that the payment was divided into five batches, saying as at last week, government had concluded payment for four batches, while the fifth batch would commence from today. He said: “The payment is a process. Those who have not received are those who have issues with their bank details. At the end of the day, 79 names were returned by the CBN because of incorrect or inadequate details and they have been calling those affected for correction. There are five batches so far, four have been attended to. On double payment, he said: “The platform in which they were paid was the same platform in which the sums were reverted. The platform is with the CBN. So, they are collaborating with the bank. Majority of money have been reverted by the banks. Mr. Olumide Ohunayo, another beneficiary, confirmed credit of accounts of some of the former workers twice. But, like Animashaun, he said the monies were recalled with that of a second generation bank having some glitches, which he believed were being sorted out. He also confirmed that over two months after the exercise was rounded off in the three designated centres, Lagos, Kano, and Enugu, some of the workers were yet to be paid, but attributed this to the double payment of some by the CBN. Besides, Chukwudi Ileje slammed PICA for inefficiency in the disbursement of the sum. According to him, PICA had shown incompetence in handling payment right from the outset, stressing that there were unpardonable errors at each stage of the exercise. He said: “For instance, the figures and years of service were miscalculated for many and in absentia. Now, even in remitting the amount, some were credited twice, while others did not get. Crass incompetence! “An inept contraption like PICA has no business handling this matter. They are lucky and should be happy that they found us in a forlorn situation and hence we are thankfully willing to accept anything to keep clear of impending doom. It would be recalled that the sum of N45 billion was expected to be disbursed to the entire former workers of the airline numbering 6000, but the government said it would disburse 50 percent of the sum, representing N22.5 billion in the first phase, while the other 50 percent would be disbursed within the next six months.